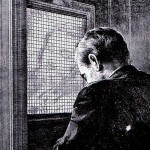 I have fallen in love with the sacrament of Confession.As I have more eagerly embraced this sacrament, I have started expecting certain bonuses, like a good confessor, inspiring counsel, and the like. When it comes time for my penance, I find myself anticipating a penance that is novel and that challenges me to address some specific need my confessor has seen during my confession. If I get ‘three Our Fathers and three Hail Marys’ I confess to feeling just a little let down. I’ve learned enough to know that somehow the problem in this must be with me and not with my penance. So today I asked a priest about it, and he set me straight. OK, so figure out what I need and give me something tailored to that. One time a priest told me to read a speci fic Psalm for my penance. I read it. 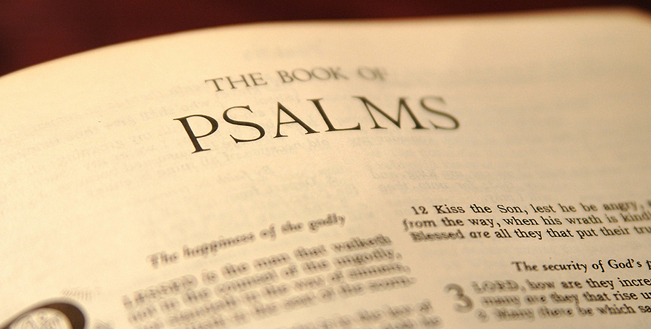 It was the first time in my life I had ever opened my Bible to the Psalms. I read it again and again. For weeks. As I pondered it I wondered what God was saying to me, how he was changing me. In succeeding confessions I was given more Psalms to read for my penance. All this opened my eyes to the Psalms, and now I read them all the time. That’s what I’m talkin’ about. But my priest friend reminded me that priests hearing confessions are operating within the parameters of their style of ministry, the guidance of the Holy Spirit, the volume of confessions they must hear within the time allotted, and so forth. Then he told me a story about a leper named Naaman who came to the prophet Elisha to be cured (2 Kings 5:1, ff). Elisha tells Naaman to go and wash in the Jordan River seven times. Naaman is disappointed and doubts whether such a mundane task will do any good. He had expected something much more splendid. Eventually Naaman swallows his pride and decides to trust and obey Elisha. He goes and washes seven times in the Jordan and his leprosy is cured. Naaman’s trust and obedience were his satisfaction, restoring him to health. All of a sudden ‘three Our Fathers and three Hail Marys’ didn’t sound so wimpy. Go back to that last option listed in the Catechism: “and above all the patient acceptance of the cross we must bear.” At first that didn’t make sense to me, but now it does. Great post, Felix! I was recently given a very fun/positive penance. The priest and I had been talking about my attitude toward my faith, family, and work — which had turned a bit bleak — and had walked me through a reflection to show that in my vanity and pride, I was comparing myself to others and trying to do enough to prove my worth to…whom? After Confession, then, he reminded me that penance is to restore our relationship with God — and to do that, he prescribed a very tangible offering of time, rest, and enjoyment of the Lord’s company. I thought I was getting off easy, but you know, I haven’t stopped thinking about it — and I’ve carried myself differently ever since.